VANCOUVER, Oct. 24, 2018 /CNW/ - 'Watermelon' or red snow has puzzled mountain climbers, explorers, and naturalists for thousands of years. 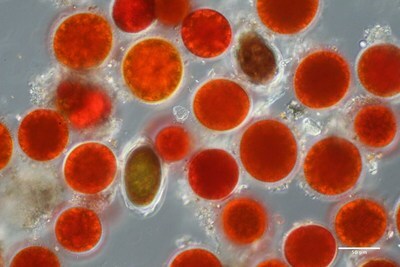 Observed globally in alpine and polar regions during the summer, it is caused by blooms of microscopic algae and their associated microbiome, including fungi, bacteria and viruses. While white snow reflects solar radiation, red snow absorbs up to 20% more energy from the sun, which accelerates snowmelt and increases global heat retention. 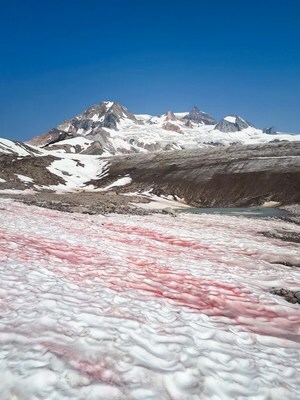 Red snow is common in BC's mountains and contributes to the rate of snow melt, thereby directly affecting BC watersheds where high elevation snow packs produce the flow of water into salmon streams and drinking water reservoirs. While we know that red snow accelerates warming and melting, we lack critical knowledge about the distribution, seasonal progression, and biology of snow algae microbiomes. 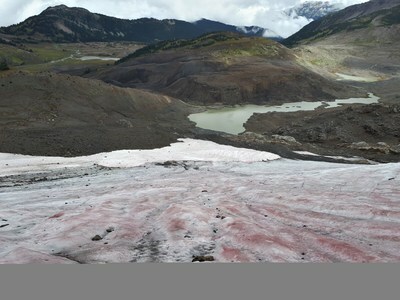 Genome BC is funding research in to the microbiome of the algae that causes red snow to provide a better understanding of how this microbiome persists in this harsh environment, and its effect on the larger ecosystem. A team led by Simon Fraser University's Lynne Quarmby will seek to identify which microbial species are present, why species occur in different locations at different times, and how these species interact. In addition, this project will establish a BC Snow Algae Culture Collection and a biobank of field samples to support future research. "We now know that microbiomes are key parts of our bodies and all living organisms around us," said Dr. Catalina Lopez-Correa, Chief Scientific Officer and Vice President, Sectors, at Genome BC. "Our investment in these SIP projects will help us better understand the significant role that the microbiome plays in larger ecosystems."